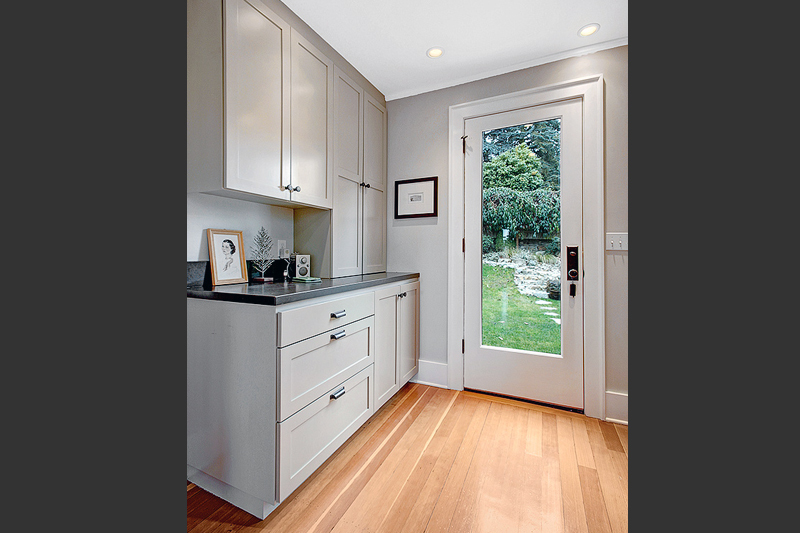 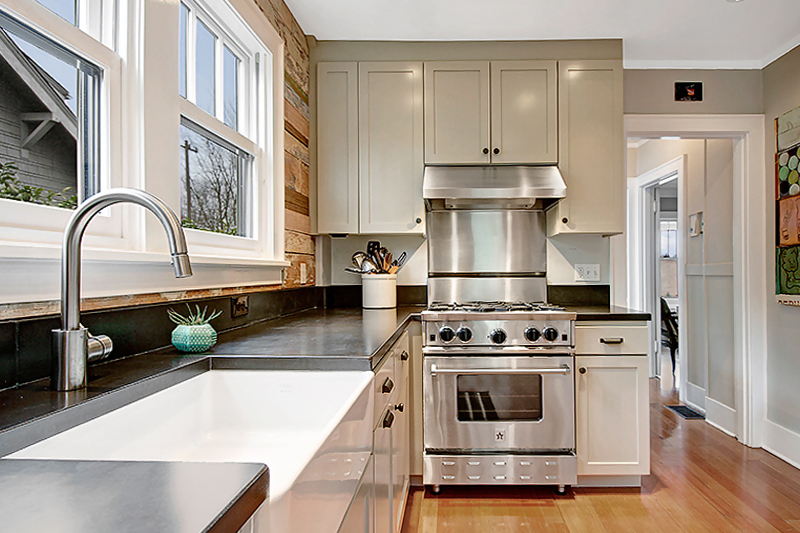 A touch of whimsy is included in the details of this Green Lake area kitchen. 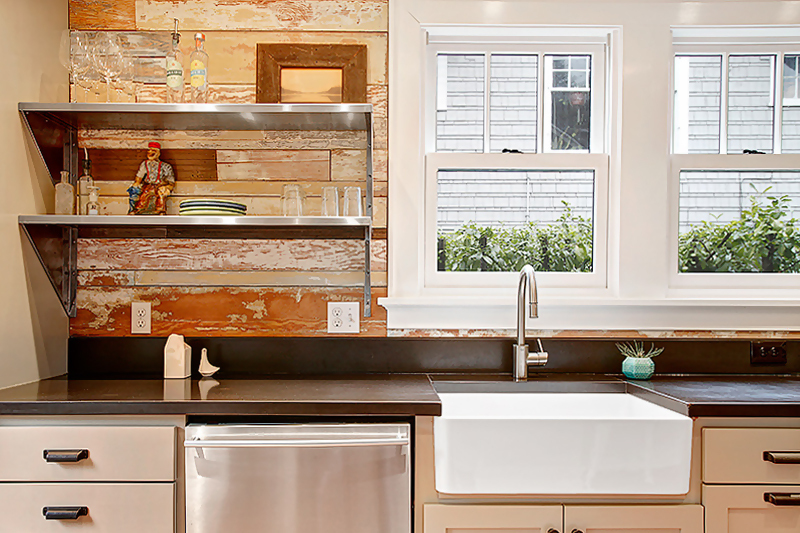 We worked closely with the owner and designer to make sure that each element was just as envisioned, yet within the tight budget for the project. 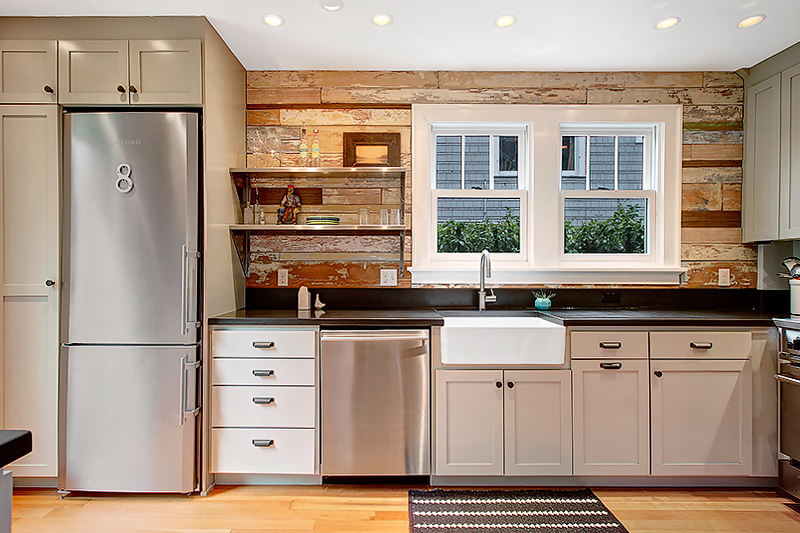 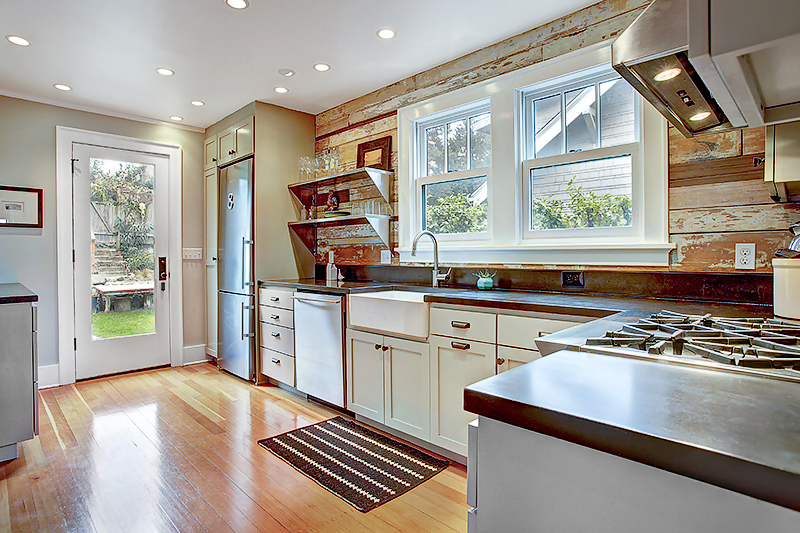 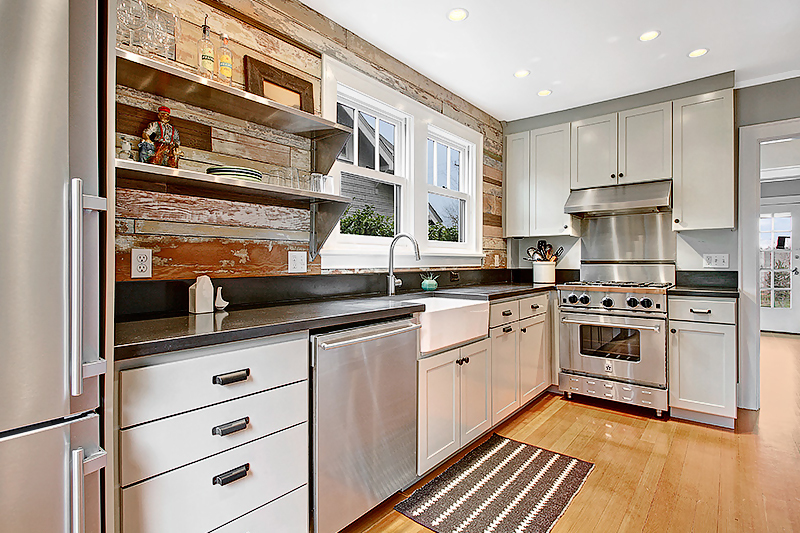 One wall of the kitchen includes reclaimed wood from a barn retaining some of the original paint. 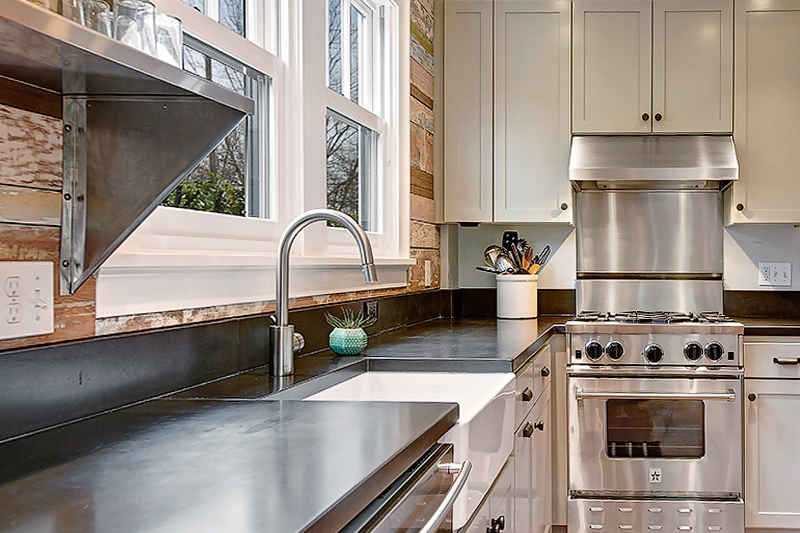 This feature is a focal point of the kitchen and adds warmth to the beautiful custom cabinetry and concrete counter tops.